The American Bottling Company (ABC), a subsidiary of Keurig Dr Pepper (KDP), has filed a lawsuit against BodyArmor maker BA Sports Nutrition and its founder and chairman Mike Repole, claiming wrongful termination of its contract after The Coca-Cola Company took distribution rights and a minority stake in the sports drink brand last August. According to a press release from BodyArmor, the brand claims the contract was “very clear — and specifically provided that” if there was a change of control for DPSG then BodyArmor held the right to exit its distribution agreement at will. However, according to the complaint, ABC believes “the KDP transaction had no adverse effect on KDP’s downstream subsidiaries, including ABC” and that the transaction “improved ABC’s distribution network by opening up additional channels and opportunities through the relationship with [KDP owner] JAB [Holdings Company].” The complaint also cites a text message allegedly sent by Repole to KDP leadership congratulating them on the merger. The complaint claims that Repole later “changed his tune” and on August 13, 2018 announced his intention to end the distribution partnership. 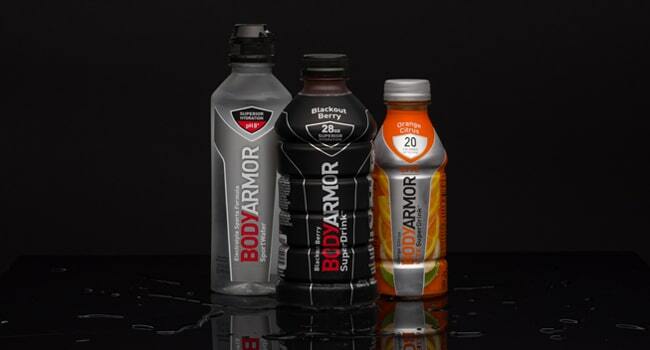 However, according to BodyArmor, the shift came as a result of dissatisfaction with KDP’s approach to its allied brands portfolio. When the merger between DPSG and Keurig was announced in January 2018, there was speculation that members of DPSG’s Allied Brands portfolio could seek to exit their distribution partnerships. When the deal closed in July 2018, premium bottled water brand Fiji announced the same day that it was discontinuing its distribution partnership with the company. In August 2018, Coke took control of distribution rights when it purchased a minority stake in BodyArmor, making it the second largest shareholder behind Repole. According to BodyArmor, KDP is still the third largest shareholder in the brand with an approximate 10 percent stake. According to the complaint, ABC “seeks to recover the hundreds of millions in losses suffered by ABC” and in a prayer for relief calls for actual and compensatory damages, disgorgement of “ill-gotten gains,” and punitive damages. “Both BODYARMOR and Mike Repole are very confident that this meritless case will be dismissed based on the clear and unambiguous language of the parties’ contract,” the company said.